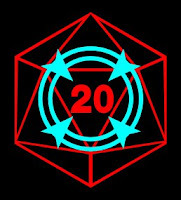 This week the _Play on Target_ podcast considers Social Conflict and how that's handled in rpgs. It's almost like we're back on a normal schedule! It's an interesting episode where we set off in one direction and end up going in another. Let's say that this show sets up a larger discussion we're going to have to have down the road. It's interesting stuff and made me go back and examine what I like and don't like about how various systems handle social interactions. This episode ends up being a little more “Inside Baseball” than I’d like. On the other hand, I think it’s important to survey the kinds of systems and mechanics out there. We’re recording an episode on Alignment soon and that nicely dovetails with many of these ideas. It also harkens back to our early episode on Dealing Damage. The idea that we can have non-physical effects, with consequences, handled by the mechanics in a way that doesn’t feel arbitrary. I think that last point’s important. If a game lacks social mechanics, then imposing penalties based on social stuff can feel arbitrary and unfair. You’ll notice we avoid the tarrasque on the table here. RPGs have a pool of perennial debate questions like Does System Matter? Should GMs fudge die rolls?. For social interactions there’s the argument over Roll vs. Roleplay in interactions. Should a player be forced to act out any social engagements & conversations and have those responses stand? Alternately should a character be allowed to roll for social interactions rather than talk through things? I’ve seen threads covering this blow up many times. The L5R Game Master’s Survival Guide has a lengthy section on this. It’s of particular importance given the power of social effects in that game. They come down on the side of compromise: allowing players to work to their strengths and rewarding them when they step out of their comfort zone. It cuts slack for the less comfortable player at the expense of those with the gift of gab. But for many GMs this kind of mechanistic approach coddles players and takes away from the veracity. That being said, I’m probably one of the compromise GMs. I like to give players the chance to handle interactions in character. If the issues are minor or their arguments fit well, I’ll handwave rolls. If that happens because of groundwork they laid earlier, I try to stress that. Otherwise I play and talk until it feels like we’ve come to a decision point: the player’s established their agenda and approach. I’ll try to get a clear restatement of intent and then we "go to the dice." I don’t push that too fast. If I go too early I might miss that players aren’t looking for any stakes, they just want to interact. I check before we make tests. On the other hand, some players just like talking with NPCs, without any kind of purpose or intent. That’s cool, but I want to strike a balance between entertaining them and boring the rest of the table. I have to figure out how to close those talks off gracefully. One of the first steps in considering how you want to handle social conflict is to take a hard look at the games you’ve run. 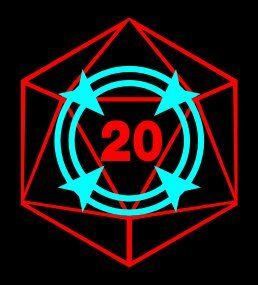 What’s the ratio of combat to non-combat scenes or even the ratio of sessions with combat to those without? How much weight rests on those social encounters? When players aren’t fighting, how often are they directly interacting with NPCs- and how much of that involves jockeying, convincing, or interrogating? Now connect that to the characters. How often do player create “social” build characters? More importantly how many of their picks/points do they put into social-type skills or feats? And most importantly how often are they using them vs. how often are you calling for them? Let me assess my last couple of sessions. In our FAE Shadowrun session we had three points of social interaction. In one, the player spent a point to establish an NPC. IIRC I treated that spend as a strong positive result, since it cost a resource. The second interaction had two parts: coaxing an NPC out of a secure location and then interrogating said NPC. In both cases I let the PCs spell out their actions and then we had rolls. I lowered the target’s resistance based on the teamwork (a second character indirectly threatening electrocution). Lastly we had a player questioning a wounded NPC. I don’t believe I had the PC roll, given the situation and the assets they could bring to bear (multiple assists, they’d shot the guy, the blood of his buddies still pooling under his boots). In Sky Racers Unlimited on Saturday we began with a plane vs. dragon dogfight. When they go back we did a couple of scenes of interaction. Most of that was to gain information and make an impression. I think I had only one major test there, resulting in a success which alienated an NPC. Friday’s Guards of Abashan game had many more social checks. They engineered a confrontation between two gangs. That required convincing NPCs to aid them, setting rumors going, and working to ensure the safety of bystanders by clearing an area. Most of that came from their staing objectives and then make tests to build up successes. In a couple of one-on-one moments, we had some rp followed by a check. We also had some solo moments before that, and I think in a couple of cases I made individual PCs make checks to convince people of their sincerity.